Chumphon has a medium sized train station with a lot of foreign passengers passing through either coming from, or going to, the popular island of Koh Tao which is famous for its scuba diving. There are several ferry services to Koh Tao departing from piers close to Chumphon. Chumphon Train Station is 486.53 km from Bangkok Train Station. The original station building was constructed in 1916. The station building was rebuilt in 1948 in its current style after the original building was destroyed by an Allied bomber in 1945 during the Japanese Army occupation. Chumphon Train Station is the transit point between the railway network and ferries to Koh Tao. 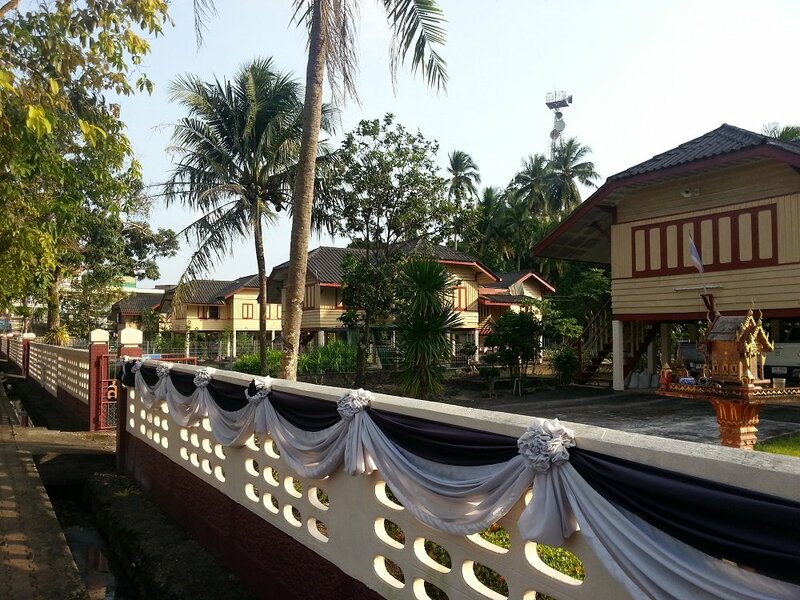 Chumphon Train Station is near the city centre and 850 metres walk from the Euro Boutique Hotel. There 10 trains a day from Chumphon to Bangkok. There are 11 trains a day from Chumphon to Surat Thani. The main reason foreign travellers come to Chumphon is either because they travelling from Koh Tao to Chumphon Train Station or they are travelling from Chumphon Train Station to Koh Tao. Either way if you arrive too late or too early for your transport connections there are plenty of hotels and places to eat near the train station. For food we particularly recommend that those with a higher budget try the excellent Papa Seafood opposite the train station or if you want to eat cheaply head down the Krumluang Chumphon Road, which is the main road heading away from the station approach road. On the left hand side of this road there are many small food stalls with tables and chairs under cover. These stalls serve tasty, cheap and spicy authentic Southern Thai food – dishes you rarely find in restaurants elsewhere in Thailand. Book joint bus & ferry tickets from Chumphon Train Station to Koh Tao. 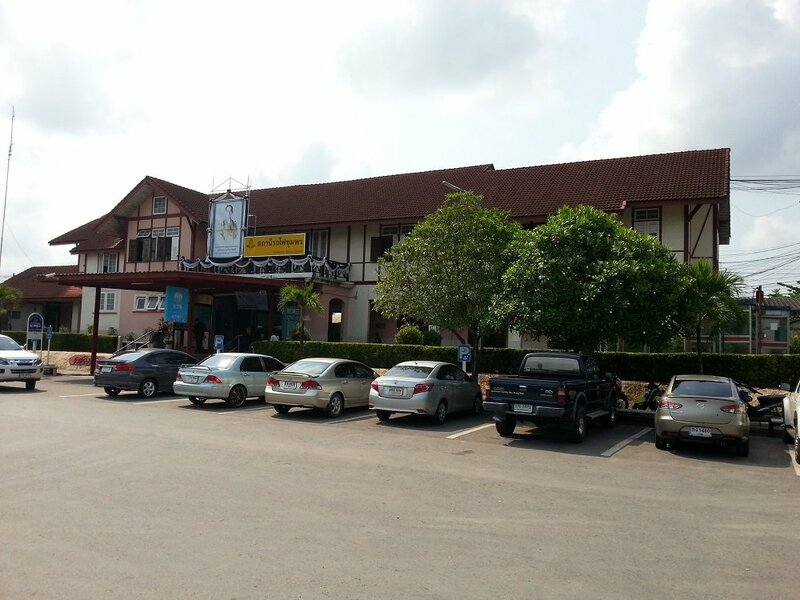 Chumphon Train Station is a medium sized station with 2 platforms. The station has a limited range of facilities and for food, drinks and other things you should buy them in Chumphon town before you go to the train station. Small shop on the main platform selling snacks and drinks, although it rarely appears to open. Left Luggage Office (charge 0f 20 to 50 THB per day depending on the size of the bag). 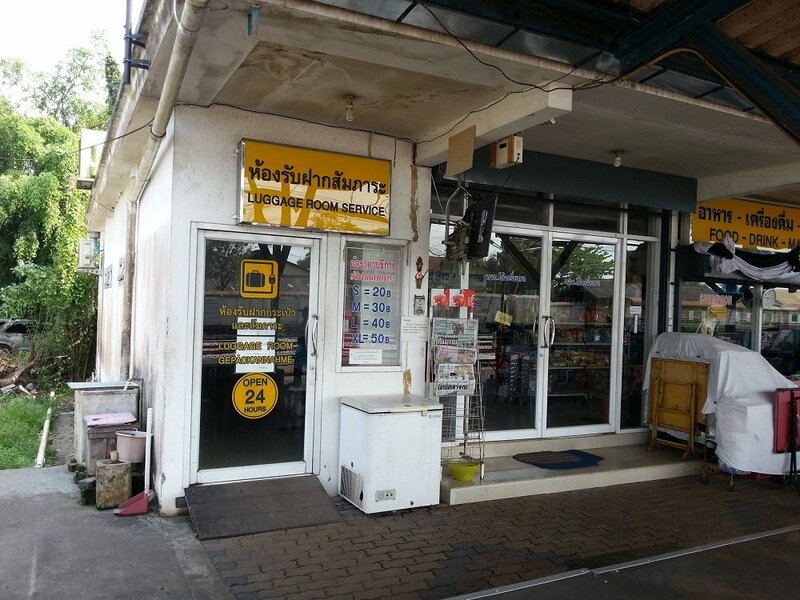 If you would like to go shopping, go to a bank or post office, or do something else you cannot do at the train station, then you need to walk into Chumphon town. To get there walk directly down the approach road and carry on straight after the traffic lights. Then take the first right down the Saladaeng Road to reach banks and the main shopping area. There are songthaew taxis which wait in the small car park opposite the entrance to the train station building. Expect to pay around 100 THB for the journey from the train station to a hotel in Chumphon City Centre. This is expensive for a short journey and we recommend that travellers simply walk to their hotel if their luggage is not too heavy. Most of the better hotels in Chumphon City are within 1 km walking distance of Chumphon Train Station. Chumphon Train Station is not as a pretty a station as Hua Hin or Ayutthaya Train Stations, it does however have two interesting features relating to the history of the Thai railway network. 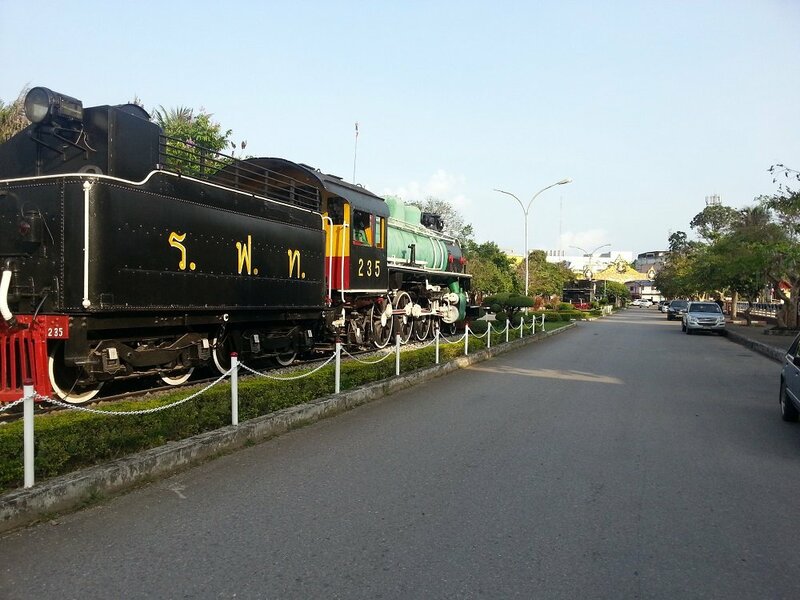 There are three steam locomotives which line the approach road to Chumphon Train Station. One is large scale model of a steam locomotive, and the larger two are decommissioned steam engines: 178 Unit No. 21810 built by the North British Locomotive Company and 235 Unit No. 59441 built by the Baldwin Locomotive Company. Lining one side of the approach road to the station is a row of wooden railway staff houses. These houses date back to a much earlier era when State Railways of Thailand gave more generous benefits to their staff. The gates to some of the houses still show the SRT logo in the iron work. The houses themselves are interesting; they constructed out of wooden on tall columns raising the floor of the house at least 3 metres off the ground. This is a traditional design of house in the South of Thailand, which is prone to flooding. 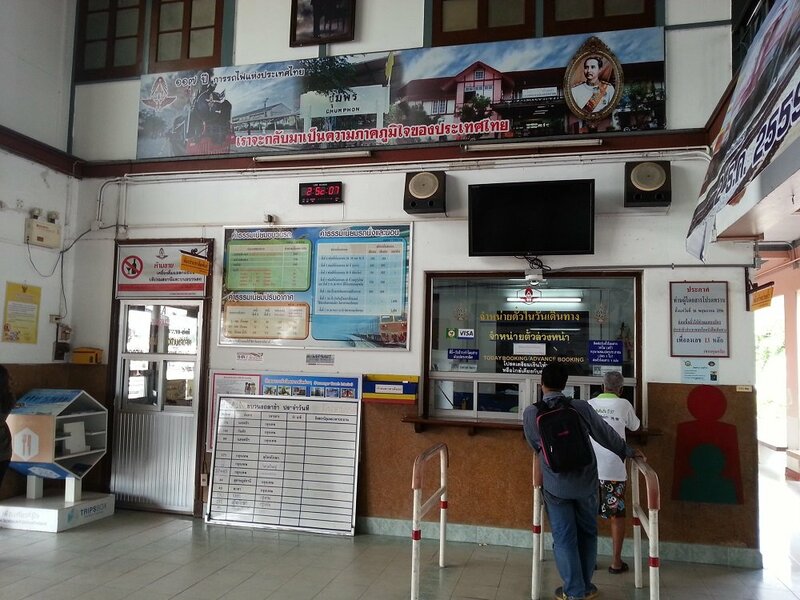 There is a single ticket counter at Chumphon Train Station which tends to open around the time of train departures and then close again through out the day. You are likely to be able to buy your ticket on the day of travel at the ticket counter in the station but only for a seat (not a a sleeper berth) and not on Train #40 or Train #43. 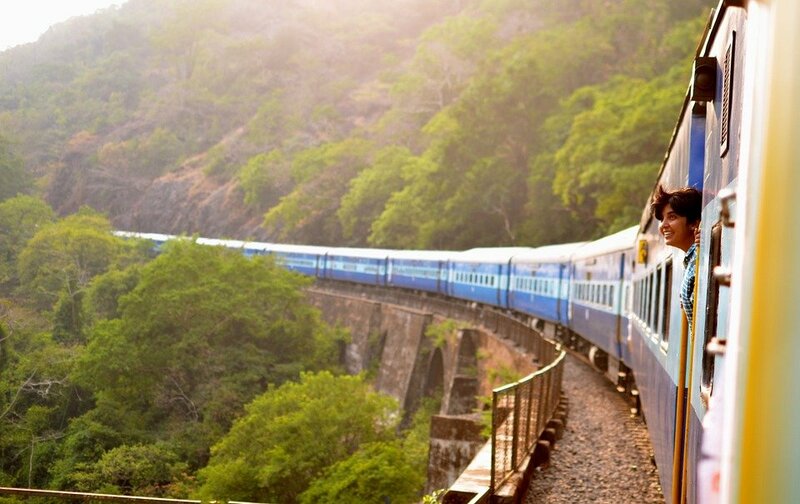 For sleeper berths, and seats on Train #40 and Train #43, particularly around the time of the Full Moon Party, you would be wise to book in advance online. The majority of the trains to Bangkok depart between the hours of 19:36 and 02:34 which means that 90% of the trains from Chumphon to Bangkok travel through the night. All of the overnight trains have sleeper berths available except Train #42 and Train #44. The best overnight trains are Train #86 and Train #32 as these trains have 1st and 2nd class air-conditioned sleeper berths available. The day time train, Train #40, is the fastest service between Chumphon and Bangkok, and food is included in the ticket price. Late Arrival Times: If you take any of the three later trains from Chumphon you will end up in a small Thai town after midnight. Surat Thani Train Station is 16 km from Surat Thani city in small town called Phunphin. 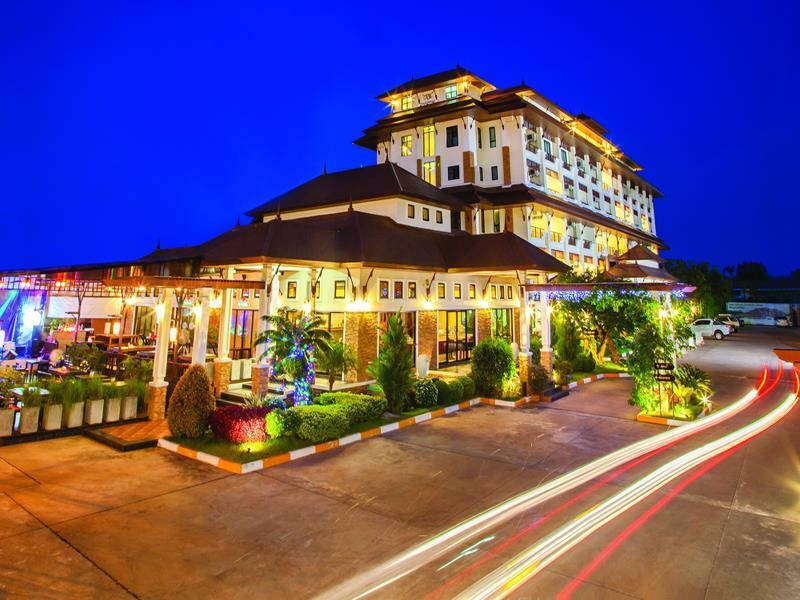 There are some basic hotels near to the train station, but most travellers would prefer staying somewhere other than the town of Phunphin where Surat Thani train station is located. Connections to Koh Samui and Koh Tao: You need to take one of the early departures (00:52 to 06:30) from Chumphon to Surat Thani if you want to travel to Koh Samui or Koh Phangan on the same day. The afternoon train (Train #43 departing at 14:41) arrives too late for you to travel to Koh Samui or Koh Phangan on the same day unless you take the night boat. If you arrive in Surat Thani after midnight you will need to wait until 07.00 before the first connection from the Train Station to the ferry pier departs, the night boat services all depart before midnight so you will miss those if you take any one of the last three trains of the day from Chumphon.